2019-03-24 07:50:43.43 spid5s      Error: 2714, Severity: 16, State: 6. 2019-03-24 07:50:43.43 spid5s      There is already an object named 'TargetServersRole' in the database. 2019-03-24 07:50:43.43 spid5s      Error: 2759, Severity: 16, State: 0. 2019-03-24 07:50:43.43 spid5s      CREATE SCHEMA failed due to previous errors. 2019-03-24 07:50:43.43 spid5s      Error: 912, Severity: 21, State: 2. 2019-03-24 07:50:43.43 spid5s      Script level upgrade for database 'master' failed because upgrade step 'msdb110_upgrade.sql' encountered error 2714, state 6, severity 25. This is a serious error condition which might interfere with regular operation and the database will be taken offline. If the error happened during upgrade of the 'master' database, it will prevent the entire SQL Server instance from starting. Examine the previous errorlog entries for errors, take the appropriate corrective actions and re-start the database so that the script upgrade steps run to completion. 2019-03-24 07:50:43.43 spid5s      Error: 3417, Severity: 21, State: 3. 2019-03-24 07:50:43.43 spid5s      Cannot recover the master database. 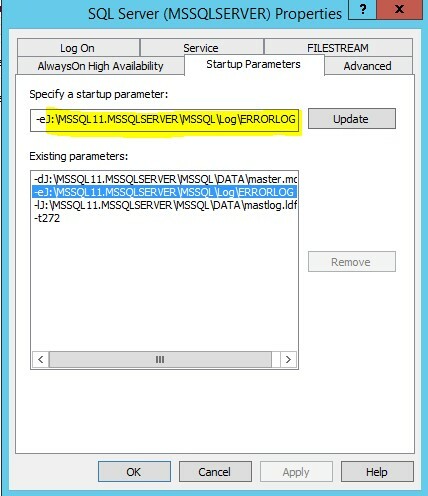 SQL Server is unable to run. Restore master from a full backup, repair it, or rebuild it. For more information about how to rebuild the master database, see SQL Server Books Online. 2019-03-24 07:50:43.44 spid5s      SQL Trace was stopped due to server shutdown. Trace ID = '1'. This is an informational message only; no user action is required. Before doing any modification, copy the system DB’s data and log files into a safe location the chances of master being corrupted are medium. Open the file and execute it in the impacted instance, you will see an error about TargerServerRole. See below. 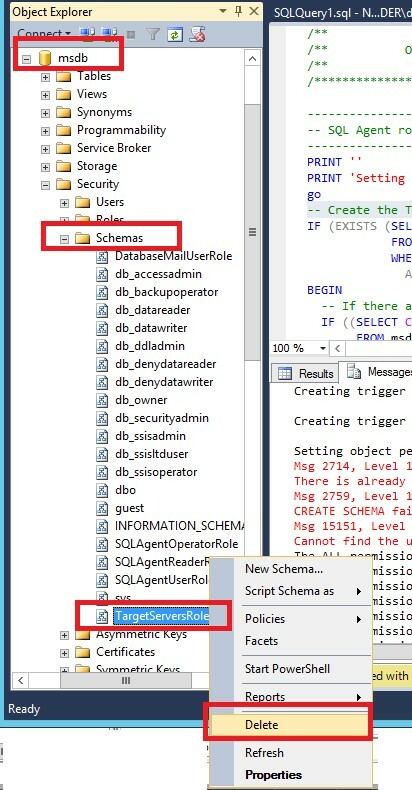 Delete the existing schema as shown below. Cluster resource ‘Enterprise Single Sign-On Service’ of type ‘Generic Service’ in clustered role ” failed. Long story short: uninstall the SQL patches and make both node same patching level. I recently faced an issue on our Biztalk SQL Server cluster and it couldn’t failover from node 1 to node 2. 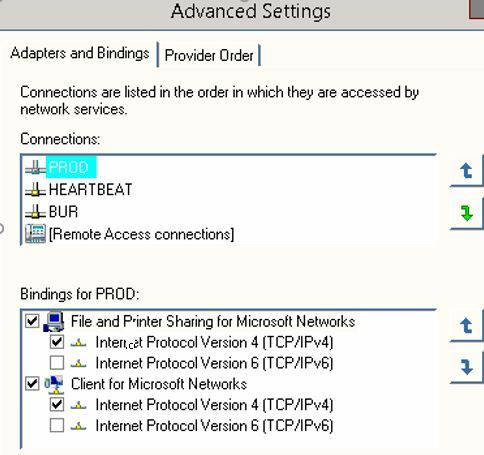 After troubleshooting I found the SSO service was not able to start in the second node, this is because SQL Server was unable to start as well, and somehow there is a dependency. Cluster resource ‘Enterprise Single Sign-On Service’ of type ‘Generic Service’ in clustered role ‘XXXXXBIZTSQL’ failed. Clustered role ‘XXXXXBIZTSQL’ has exceeded its failover threshold. It has exhausted the configured number of failover attempts within the failover period of time allotted to it and will be left in a failed state. No additional attempts will be made to bring the role online or fail it over to another node in the cluster. Please check the events associated with the failure. After the issues causing the failure are resolved the role can be brought online manually or the cluster may attempt to bring it online again after the restart delay period. I found the SQL patching level is different in node two, and it had installed GDR 5207 SQL Server 2014 (KB4019093) in the affected node. After unistalling the patch in the affected node the failover worked just fine. As a general comment, there are some of the SSO configurations that need to be enabled (checked) and by default they are not. At those are in our environments. 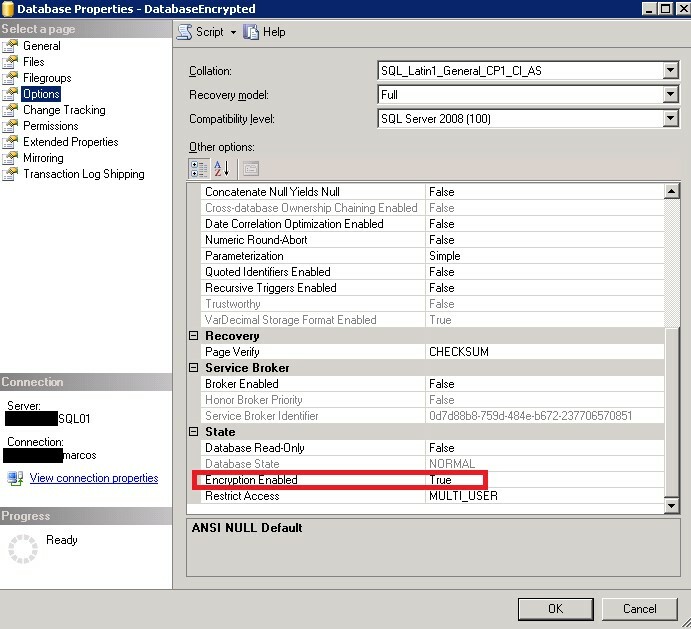 Go to Cluster Adminstrator –> Roles –> SQL Server –> Right click on Enterprise Single Sign-On Service. This article is only valid for SQL 2008 and SQL 2008 R2 as some feature were removed/improved in further versions. Cannot find server certificate with thumbprint '0xE11A199C1059C6F1E0223B56581CDCF3F043DFE8'. In order to successfully make the restore in a different server you will need to create a master certificate in the detonation and transfer the certificates and backups in that order. First, identify all the objects affected. 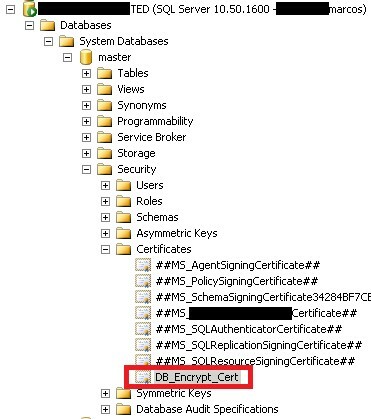 This includes the certificate, keys, and databases. 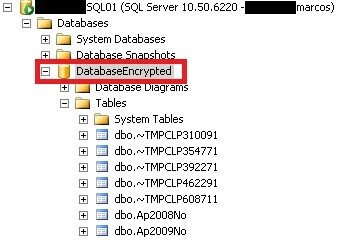 With the query below you can list the encrypted databases. Notice the thumbprint is the same as the error raised originally. In this case we only have one certificate. Restore and create a certificate in the destination based on the backup file you took in the step before. Notice the name must remain the same, you will need the private key, password, and pay attention on the syntax it changed from Encryption to Decryption. The warning is OK, this is because the original certificate was not set with an expiration date. Finally, you can restore the database with your normal method and it will with no issues. I already verified allow in process is = 1, and also assign the users the “Create global objects” user right. I sincerely hope this could save somebody months of workaround. If this is your case, leave a comment. Long story short: you need to add the SQL service account to Lock Pages in Memory and set a max SQL memory configuration. A significant part of sql server process memory has been paged out. This may result in a performance degradation. Duration: 0 seconds. Working set (KB): 157348, committed (KB): 444456, memory utilization: 35%. This error is more visible in virtual server and server with more than 128 GB in RAM. This affects so far SQL Server 2012 and 2014 Standard or Enterprise Editions. Problem happened because Windows paged out SQL server memory. KB 918483 discusses the issue and the resolution. 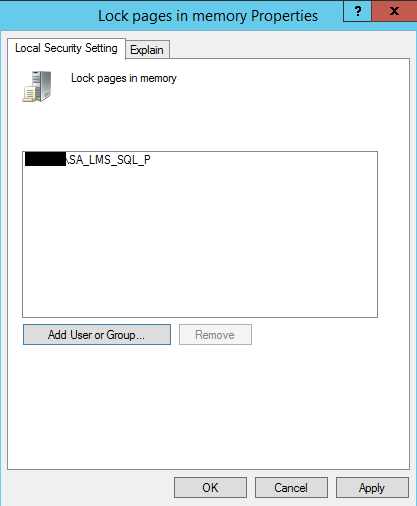 You can grant the SQL service account is ‘DOMAIN\SA_SQLAccount_P’ Lock pages in memory user right to avoid the issue. Before you grant the privilege, you need to make sure SQL maximum memory is set such that there is enough memory left for the OS to work smoothly. This needs to be done in each node of the cluster. SQL Server memory is tricky when running in a virtual machine. Anybody can get the Page Out Memory error but it will become more and more frequent. The problem is when it goes down, not even monitoring tools can catch it as recovery time is two to five seconds. However, important SSIS, jobs, or request can occur during those seconds and it will reject all connections. The problem goes very serious when the application is not able to recover itself and SQL did not register any attempt of failover. Fixing the problem with this relatively easy solution will not only improve the performance but also maintain a consistent database health. Make sure to configure the SQL Server max memory 80/20 to avoid any issue. This error occurs at installation time when SQL is unable to authenticate the service accounts to start the services. This occurs with A domain accounts, B domain accounts, and local system accounts. 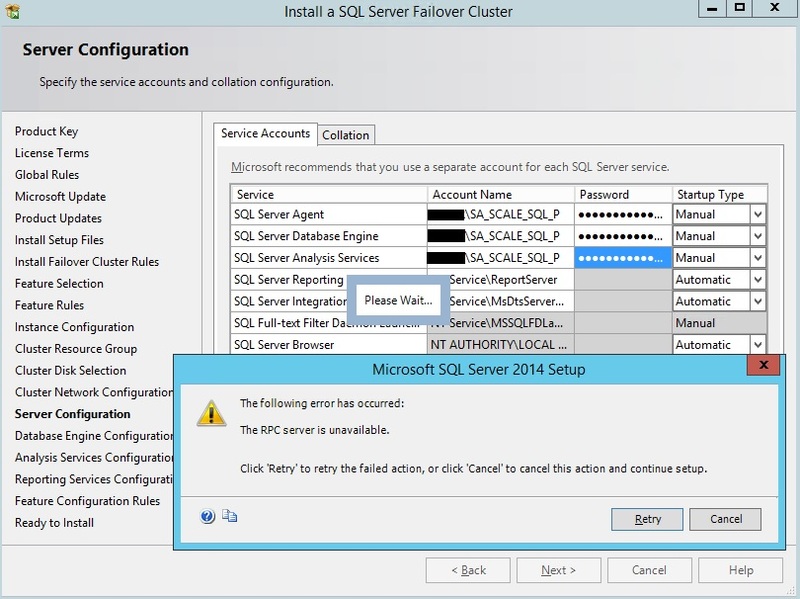 This error stops all the installation of SQL Server and it says “The RPC server is unavailable.” The screen below shows how this error occurs. I troubleshoot this error by changing the accounts to start the services with no luck. Also attempted with a valid domain_A\sa_account, domain_B\valid_account, and NT AUTHORITY\Local Account but none of them worked. 1. 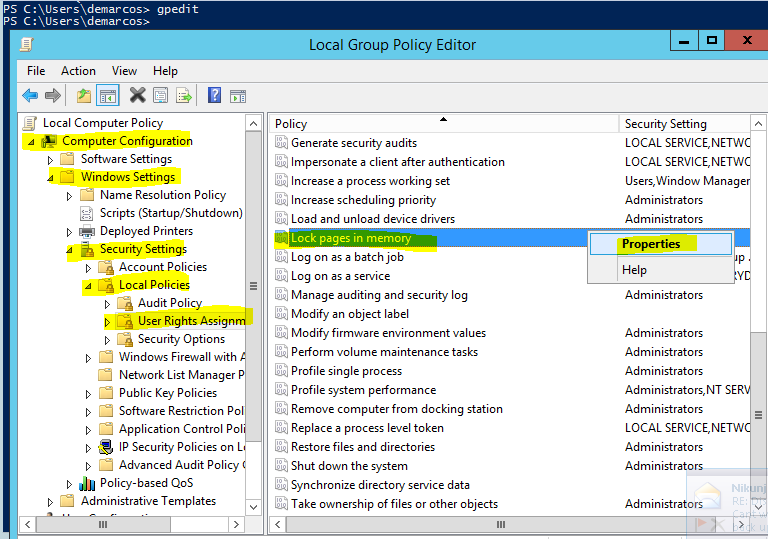 Below marked FW rules should be enabled from group policy. 2. Network binding should be below order. Yours may change but the production/primary must be listed first. 3. 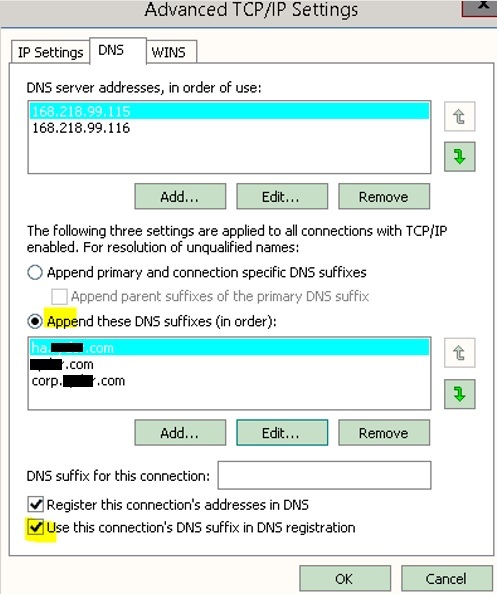 Make sure DNS suffix entry should be correct order. After these changed were made, DBA team was able to proceed with the installation and the error “The RPC server is unavailable” disappear. SSRS Subscription Failure sending mail: The user or group name ‘domain\user’ is not recognized.Mail will not be resent. When you’re getting the error above is because the user is no longer valid for Reporting Services. Quick Fix –> Re-create the subscription. Best Fix –> Reassign the subscriptions to a Service Account. However, if you have several subscriptions it is not feasible to recreate all of them. Here it is how can you reassign these subscription to someone else. 3. Grant ALL permissions to the Service Account on Report Server Home directory. Make sure all the folder inherit permissions from parent, if not, individually check the permissions in each folder. 4. Find the OWNERID of the subcriptions that have an invalid user or group name. Run the query below in your ReportServer database and find those with the error. --Query to get the Last Status of each Subcription and its OwenerID. ,s.[LastStatus] -- Status of last subscription execution. 5. Identify OwnerID for the Service Account Created (or whatever account you’re going to use). Run the query below to list the users. 6. Replace the invalid OwnerID with a valid OwnerID. I use the Service Account ID. 7. Verify the subscriptions were updated. Run the query below to see how the new user name is not in place. --Query to get the Report Name and its Subcription Owner. The problem should be fixed at this point. Nevertheless, if you want to check if it really works, you can wait for the next subscription to run or invoke it manually. So, here you have a bonus on how to manually call a subscription. B. Execute the job manually with the script below. C. Validate the new status by executing the script in step A.